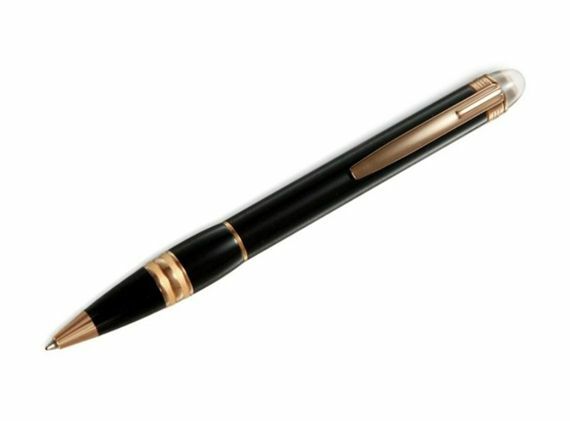 Order your Montblanc StarWalker Red Gold Resin Ballpoint Pen today from FahrneysPens.com. Fine Pens, Refills & Luxurious Gifts – great prices & fast shipping. The newest addition the Montblanc’s StarWalker collection, the StarWalker Red Gold, is contemporary, pure, and exclusive. Gold, like the written word, is timeless. Blended with the distinctive Montblanc StarWalker profile, it creates an elegant statement of modern artistry in two breathtaking models. The Montblanc StarWalker Red Gold Resin adds the beauty of red gold to the depth of black precious resin. 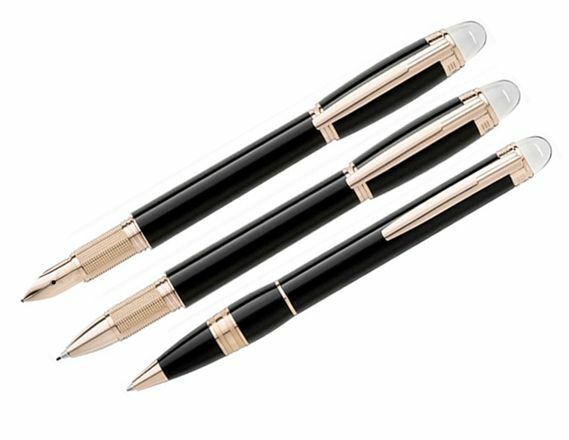 The white Montblanc emblem floats in the transparent dome, emphasizing the silhouette of the gold-plated writing instruments. The StarWalker Red Gold collection is available as a fountain pen with a rhodium-plated 14K red gold nib, a ballpoint pen with twist mechanism and a capped fineliner.